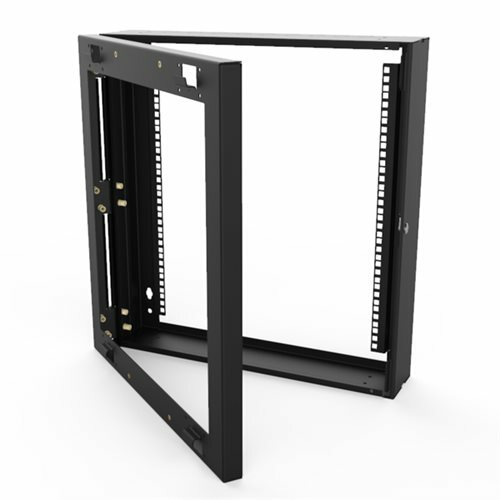 The 6U R6400-RHF hinged wall frame turns the R6400 and R6600 wall mount racks into double hinged wall cabinets. The rear of a wall mount rack can be made easily accessible thanks to this hinged frame. The entire rack can securely swing away from the wall to enable access to equipment and cabling via the rear of the rack.